The Snow has come!! 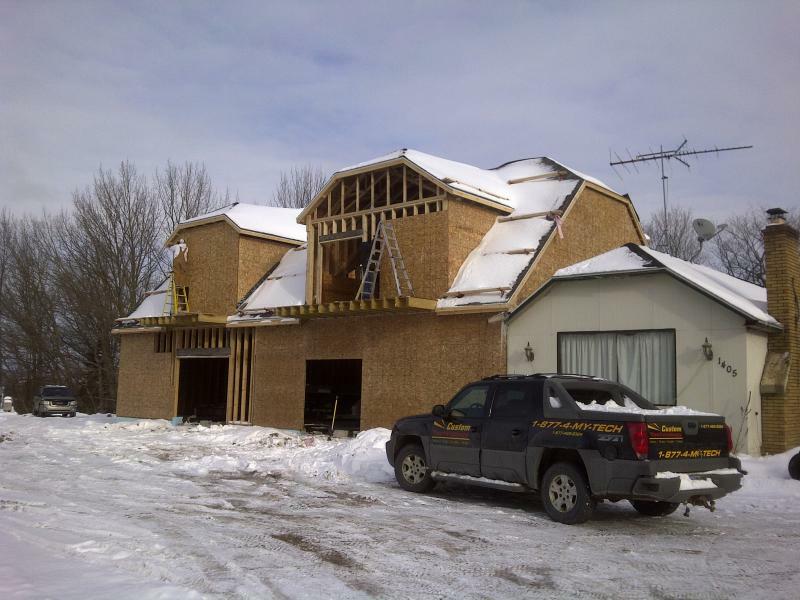 It's nice to have a solid roof over our heads- and as of today walls-to keep teh snow out! 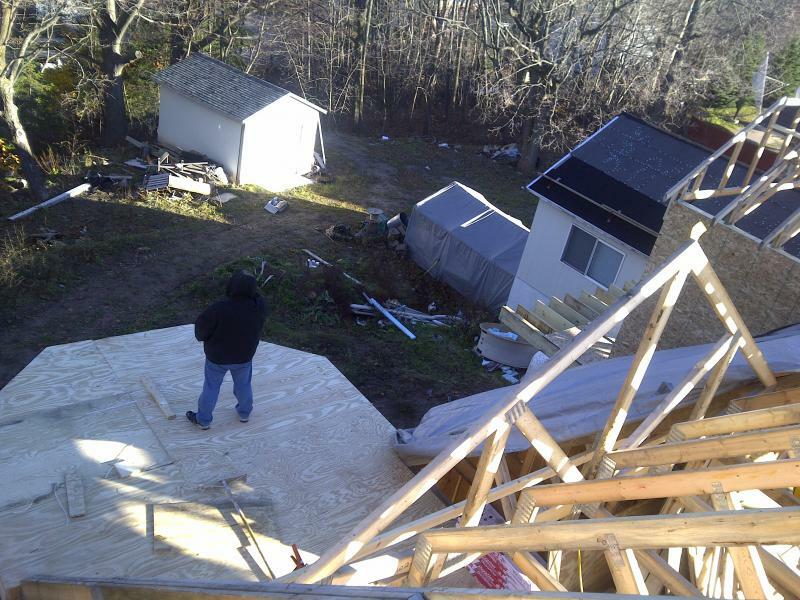 Here is a View from the top of the roof where I am working. Brian is standing in the look out protion of the attic. The walls should be built by this weekend and it should look like a light house going even higher them where I took this picture from. 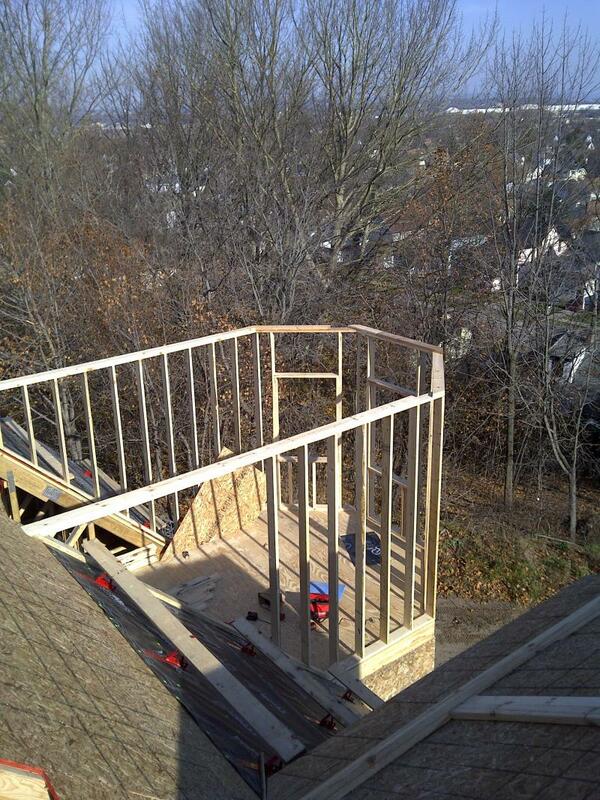 I hope you can come and enjoy the view from here when I am done! Monday morning! 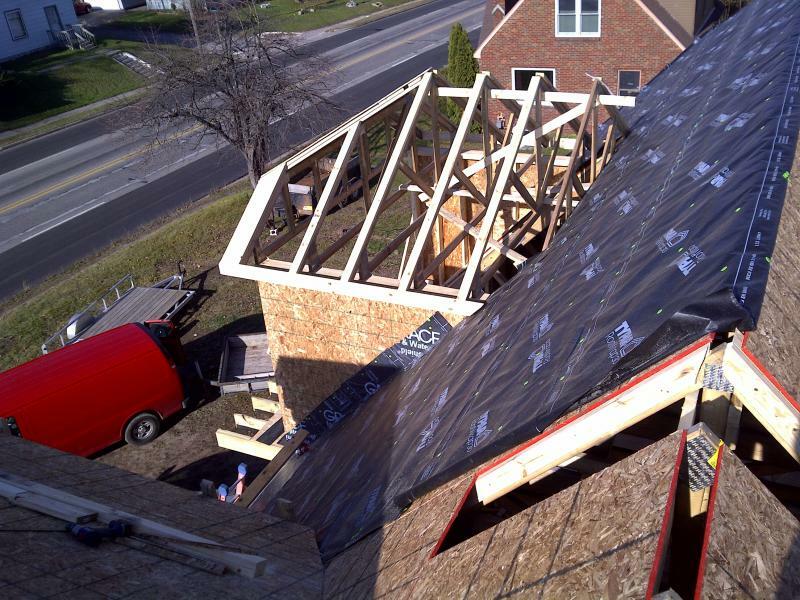 this is the last pat of the main roof that needs sheeting! then its just shingles!~ and roof done! 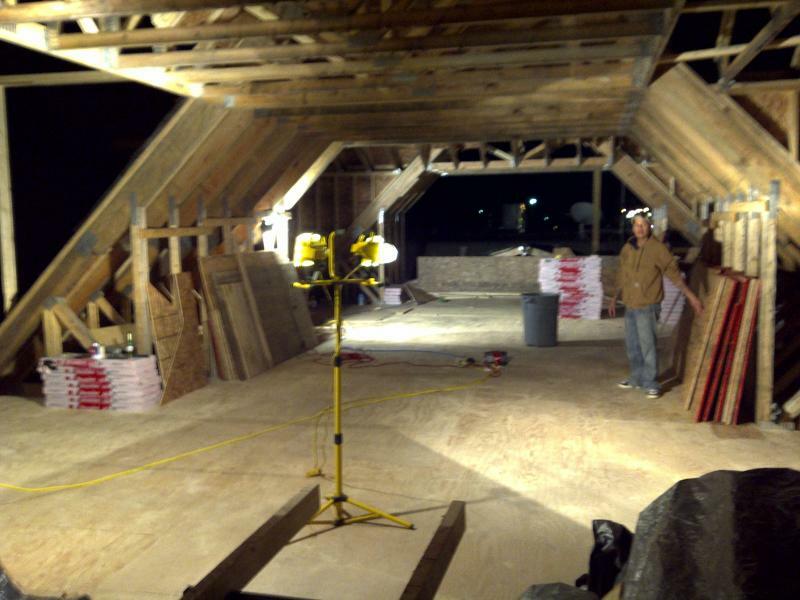 The "lighthouse" base will be the ceiling of this room you see, the special lumber for this should arive tomorrow! 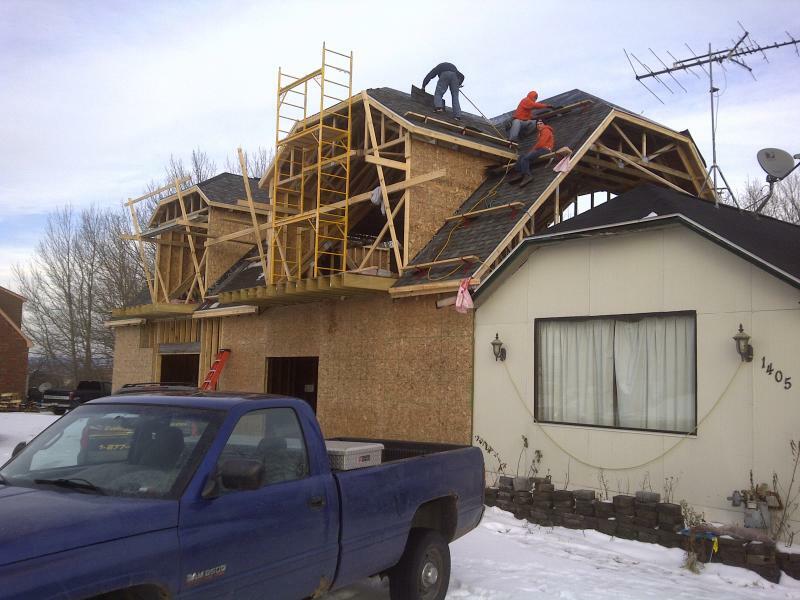 Shingles going on well....might beat the snow!!! !